Cam started his journey as a performer at a very young age. By 12 he was performing in his school's production of "Oliver". He convincingly played a 70 something year old Jewish man (Fagin) with ease and from there he was hooked. After studying acting in Adelaide, SA he moved to Melbourne to pursue a career. 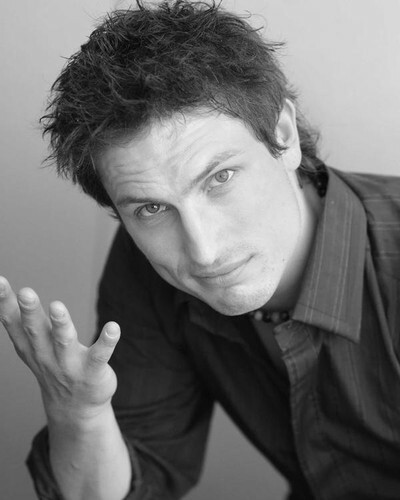 After some time spent in Melbourne he somehow 'fell into' doing stand up comedy and improvised comedy which helped land him a support cast role in the channel 7 sketch show "Big Bite". He's also performed for "The World Comedy Tour 2005", "Cam & Charlie's Guide to the Melb Fest", "Thank Comedy It's Friday", "How to Shoot a Short Film" (again teaming up with Charlie Pickering, and the more recently he's moved to Sydney and is hosting "Stand Up Australia" a new stand up show which showcases some of the best local and international acts around. Encore by Popular Demand: Cam Knight's "100 Percenter"